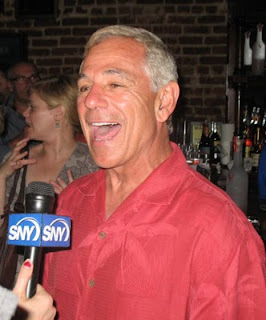 On September 20th Sports Angels will honor Bobby Valentine with the fourth annual Inspiration Award and also recognize corporate honoree Diarmuid Hogan of Global Excess Partners in a gala celebration at the University Club, 1 West 54th Street in New York City. This year's event is hosted by Emmy Award Winning sportscaster Len Berman and NY1's Jessica Abo. Other confirmed guests include former Brooklyn Dodgers Ralph Branca, Joe Pignatano, Yankee great Jeff Nelson and boxer Gerry Cooney. For more information on ordering tickets, visit the Sports Angels website or call the Sports Angels Event office at 212-243-3265.